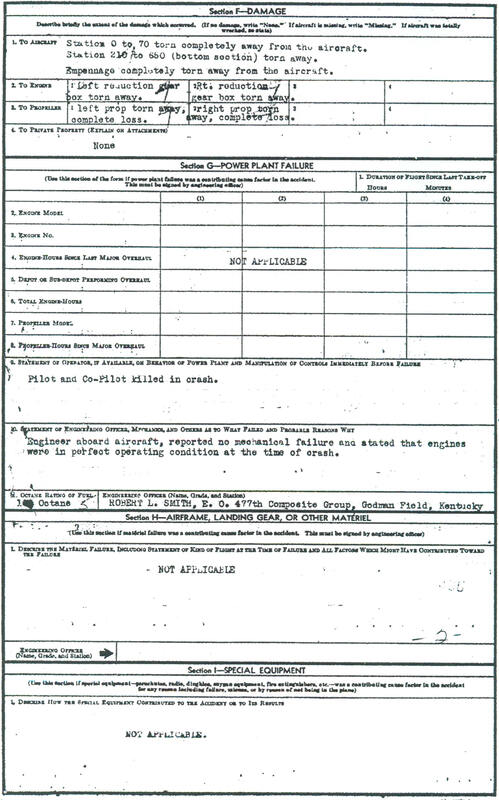 Summary of Accident - On July 8, 1945, the twin engine B-25 (B= bomber) aircraft departed Goodman Field, Kentucky for a military exercise over Hayes Bombing Range and then a training flight. 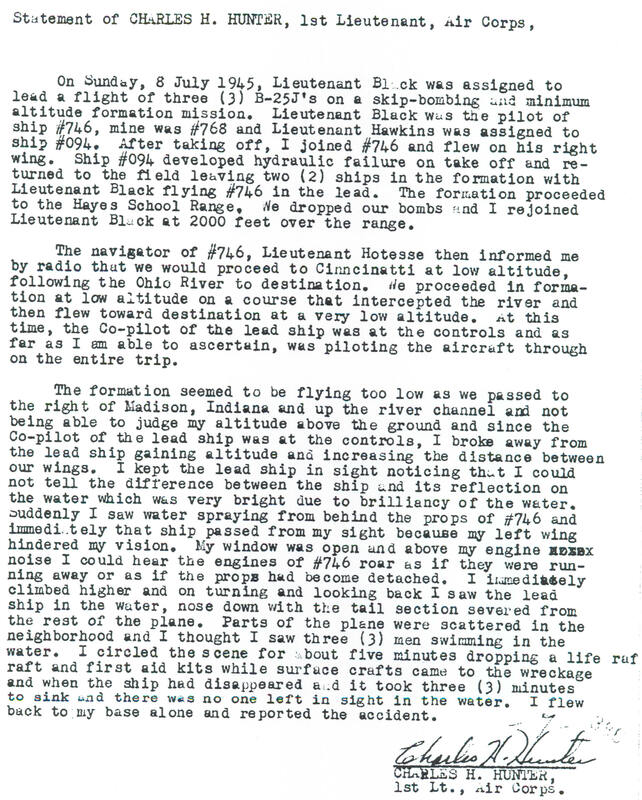 The aircraft was to drop its bombs and then continue on a low altitude cross country where the co-pilot would take the controls. 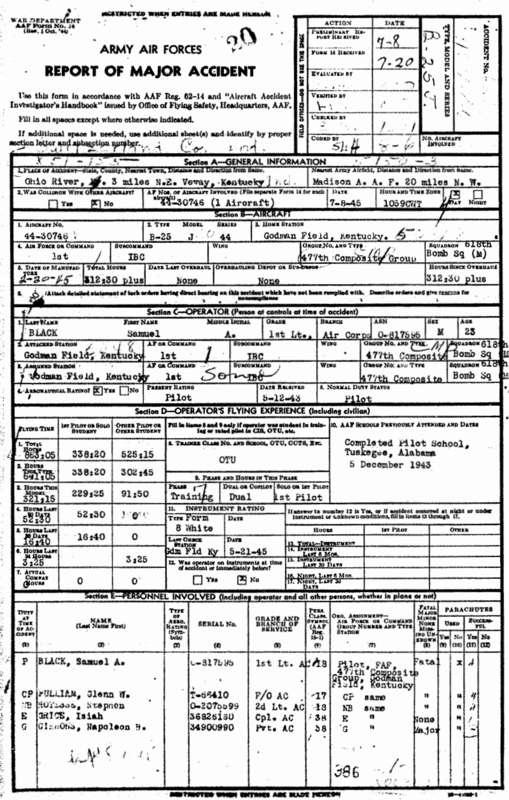 At Madison, Indian the copilot began his decent from 1,000 feet to his assigned altitude of 100 feet above terrain. 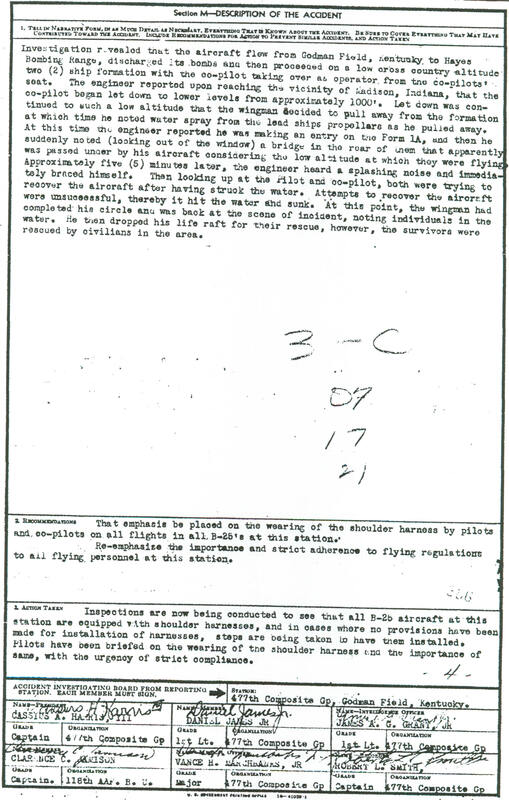 The copilot dropped below his assigned altitude, with water splashing onto the aircraft, both pilots attempted to pull on the yoke to gain altitude, with no success. 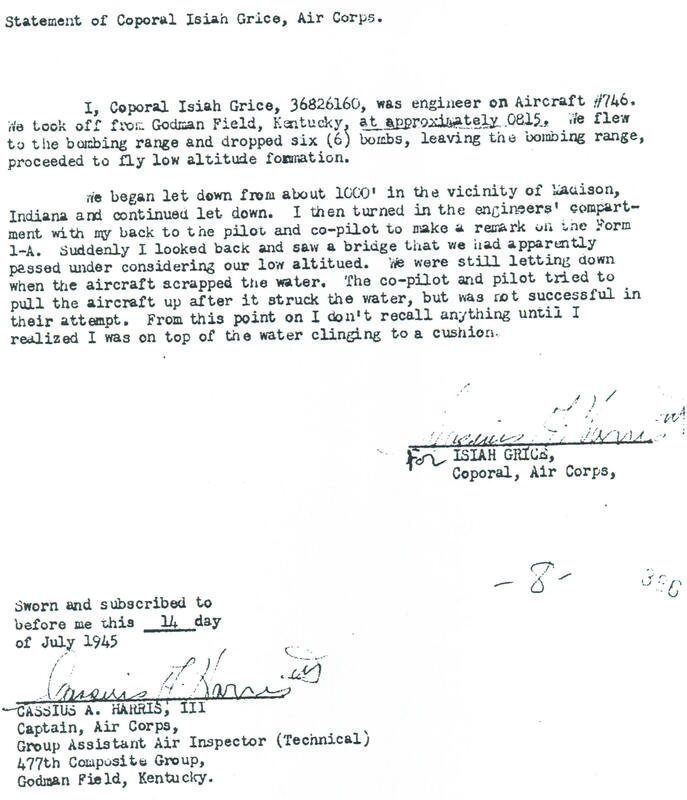 The aircraft crashed into the Ohio River in Indiana killing the pilot, copilot and Hotesse. 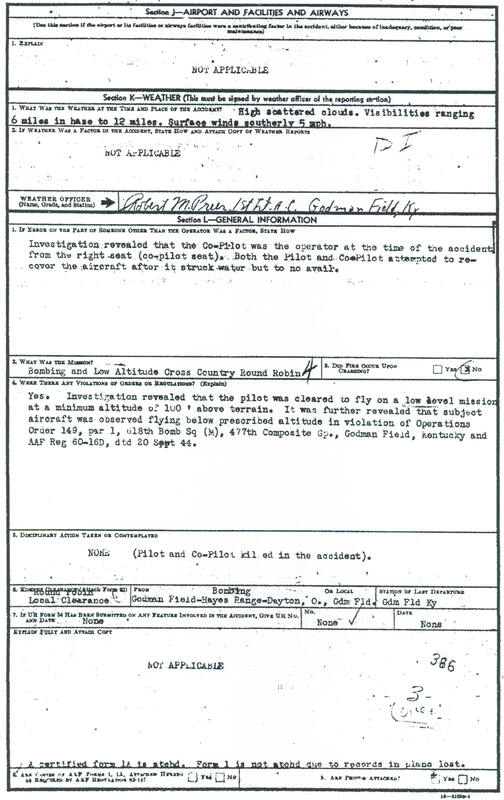 It was reported the upon impact the cockpit and tail broke away from the aircraft.